Rishikesh might have risen to fame on the coat-tails of The Beatles, but its reputation as a sanctuary for spiritual seekers far predates its celebrity clientele. 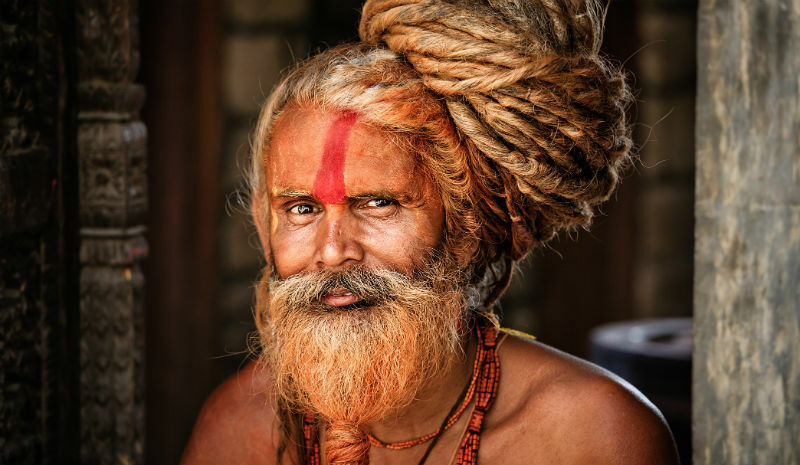 Tucked away on the banks of the Ganges, in the foothills of the Himalayas, the city has long been an important pilgrimage site for saints and sadhus seeking enlightenment. 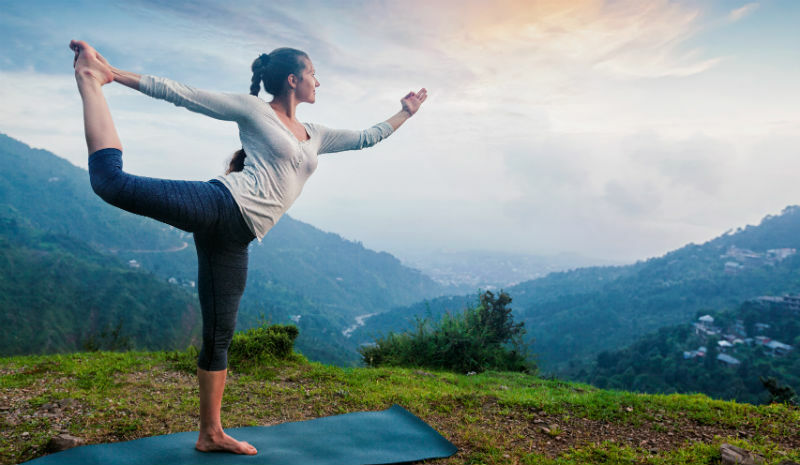 Having evolved into the Yoga Capital of the World, Rishikesh is now a busy muddle of ashrams and yoga schools offering everything from Ashtanga drop-in classes to Vinyasa Flow teacher trainings. 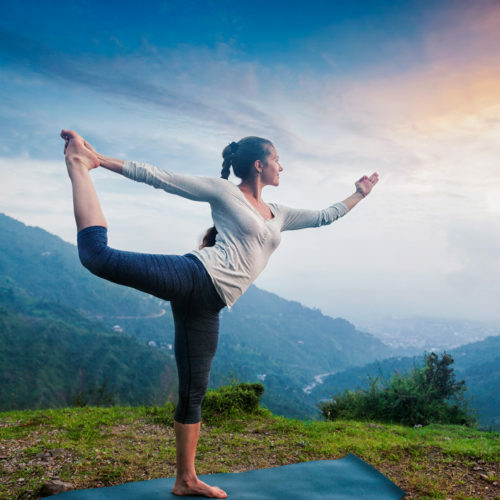 Rise above the bustle and discover a more tranquil side to the city with our luxury yoga guide to Rishikesh. 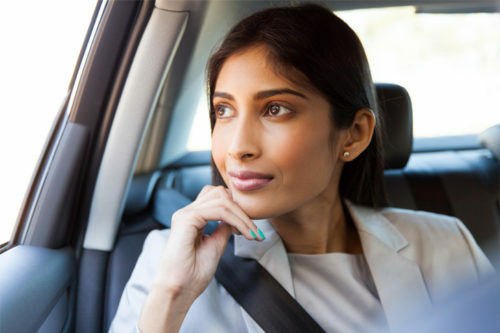 The best places to stay are a cool step back from the hustle. Flanked on three sides by the Ganges, Taj Rishikesh Resort & Spa is one of the most serene spots in Uttarakhand, and makes full use of its remote mountainous surrounds with floor-to-ceiling windows. Its white pebble beach is the perfect place from which to take a dip in the holy waters—make it a morning ritual. A little closer to town but still nestled in the wilderness is The Roseate Ganges, a sleek minimalist pile with an holistic twist. 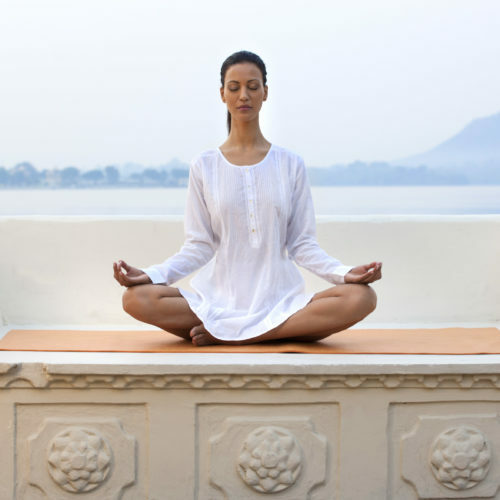 Yoga, Ayurvedic treatments and hikes to prime pilgrimage sites make this an ideal place to recalibrate from city life. 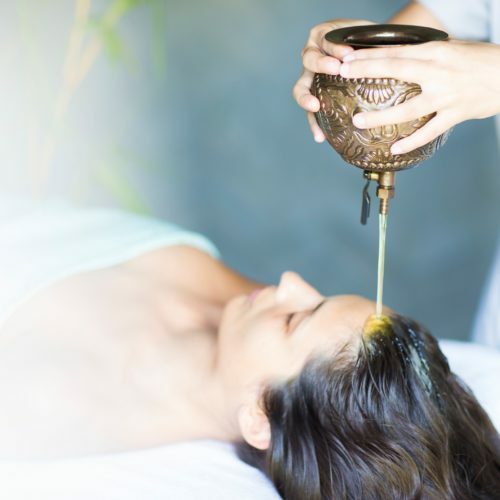 But crowning Rishikesh’s luxury yoga retreats is Ananda in the Himalayas, whose resident Ayurvedic doctor tailors wellness programmes for guests. With abhyanga on tap and a beautiful yoga pavilion surrounded by sal trees, it’s a very difficult place to leave. There’s no shortage of yoga classes in Rishikesh: it’s an Om-seeker’s paradise. The challenge arises in finding a good teacher. 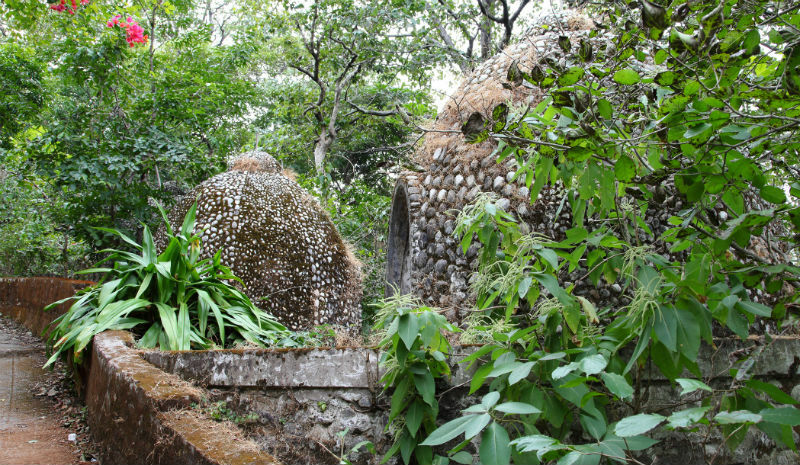 Remarkable for its flock of fiercely loyal followers is Anand Prakash Ashram, which offers excellent early morning drop-in classes followed by a fire puja. If a 6am start feels a little too severe, nearby Yoga Vini offers morning classes at a more civilised hour on a sun-bathed rooftop with glorious panoramic views. Serious practitioners should seek out the tuition of the formidable Usha Devi at Omkarananda Patanjala Yoga Kendra. It’s something of a pilgrimage site for Iyengar practitioners, and for good reason: the master instructor has been teaching here for nearly 30 years. Rishikesh isn’t all yoga and satsang. 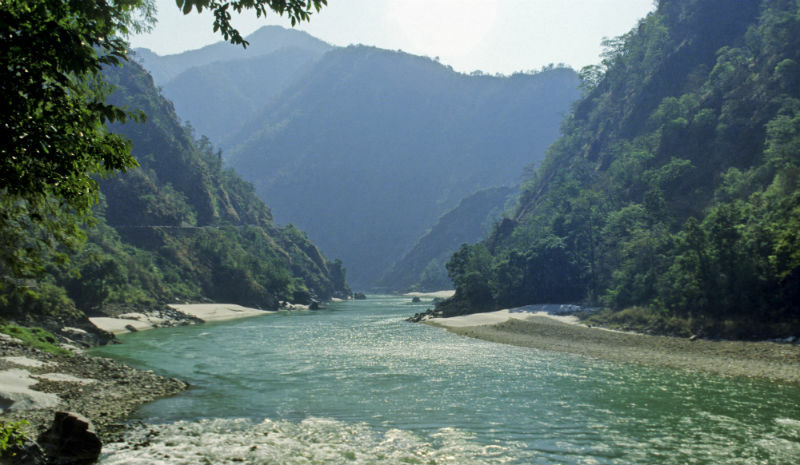 For a change of scene, head down to the giddy tides of the Ganges for some adrenalin-pumping white water rafting. 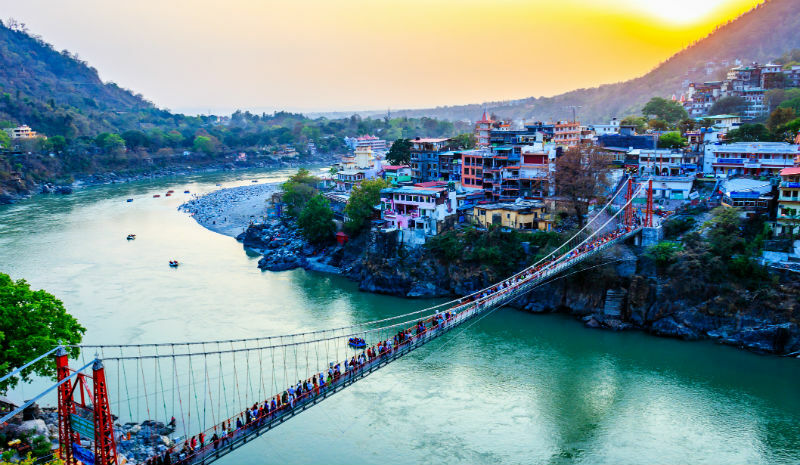 There are also plenty of beautiful walks in the area, one of the best being the sleepy, dusty saunter between the bridges, Lakshman Jhula and Ram Jhula. Offering a quiet escape from Rishikesh’s bustling hub of boutiques, cafés and vendors, it winds past a pretty peppering of ashrams and shrines. Another lovely walk is out towards the Beatles’ ashram. The deserted shell is now covered in vines and graffiti, but it’s steeped in history, and is surrounded by the lovely Rajaji National Park, home to tigers, panthers and elephants. 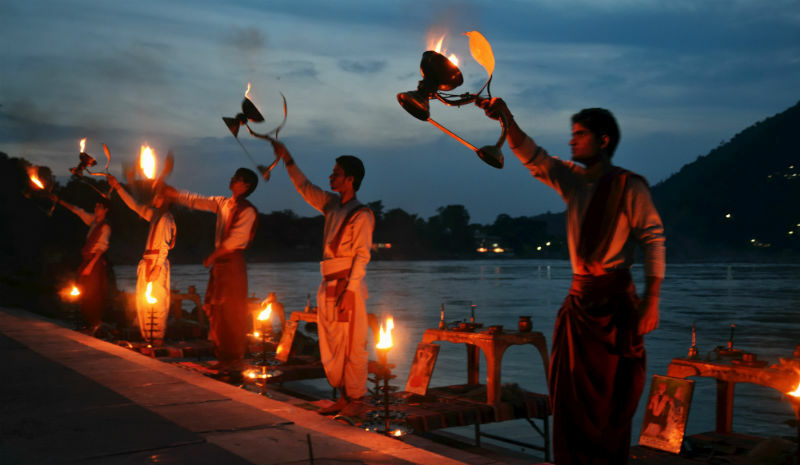 As the evening starts to sink, make your way back to Parmath Niketan ashram on the banks of the Ganges, and find a comfortable perch among the throngs of worshippers. The aarti (evening prayers) here offers an atmospheric, ceremonial end to the day.